What is a MARC record? A MARC record is a MA chine-Readable Cataloging record. 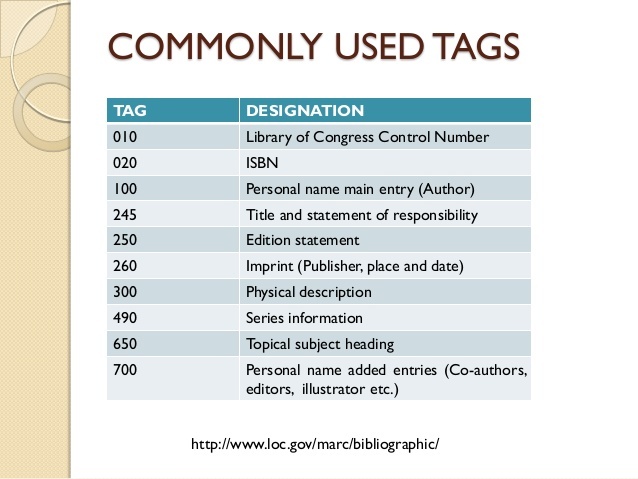 And what is a machine-readable cataloging record? Machine-readable: “Machine-readable” means that one particular type of machine, a computer, can read and interpret the data in the cataloging record. The following pages will explain why this is important and how it is made possible.